The breakout stars the world fell in love with in Universal Pictures and Illumination Entertainment's Despicable Me global film franchise headline their own movie for the first time in Minions, available on Digital HD November 24, 2015, and on Blu-ray™ Combo Pack, DVD and On Demand on December 8, 2015 from Universal Pictures Home Entertainment. 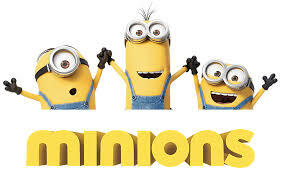 A much anticipated prequel to the unprecedented worldwide blockbusters Despicable Me and the beloved sequel Despicable Me 2, Minions is an immensely entertaining film for all audiences called "inventive and hilarious" by Julian Roman, Movieweb.com. The Blu-ray™ Combo Pack and Digital HD also come with three all-new mini-movies and even more Minions everyone will want to watch again and again especially during the busy holiday travel season. The new Minions movie makes for a great gift this holiday season. This movie is packed with laughable moments, awe moments, and all around fun for the whole family. The disk includes 3 mini-movies as well! What a great bonus! You will find Cro Minion, Competition, and Binky Nelson Unpacified. I know Allyson and Cooper love all 3 mini movies! They ask to watch them over and over again. 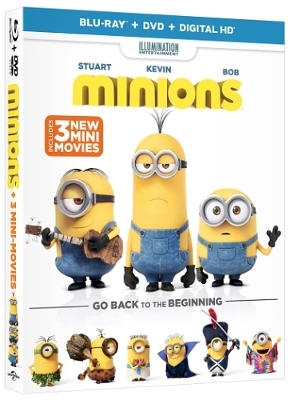 Pick up your copy of Minions at your local store today. Time is running out to get it under the tree. You won't be judged if you get the day after Christmas though. Just get it!! Bob needs to be in your home!